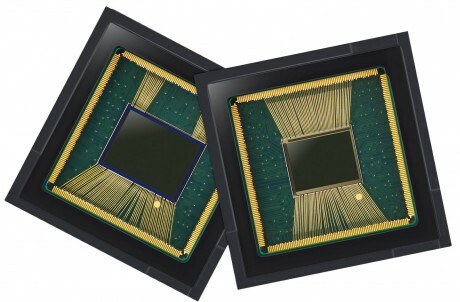 Samsung today announced two high-megapixel camera sensors bound for flagship smartphones. The Samsung ISOCELL Bright GM1 and the ISOCELL Bright GD1 offer 48 megapixels and 32 megapixels, respectively. Both features 0.8-micrometer (μm) pixels, which is what allows Samsung to pack so many into the tiny sensors. The size is critical for phone makers seeking to put multiple cameras into a single phone. The ISOCELL technology prevents light bleed between pixels in order to help keep images sharp and free from noise. At the same time, the sensors support pixel binning, what Samsung calls Tetracell, which combines four pixels into one for better low-light performance. The sensors include gyro-supported EIS, and the GD1 includes real-time HDR for dynamic video capture and video streaming. Samsung expects the chips to be in mass production before the end of the year. It's possible the GM1 and GD1 will appear in future Samsung devices, such as the Galaxy S10.